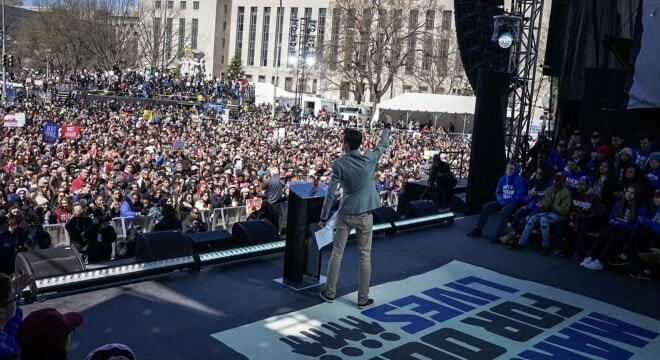 Although the March for Our Lives event has come and gone, national anti-gun organizations are stepping up their support for youth-based gun control initiatives. This week Everytown announced they would make $1 million in grants available to maintain the momentum of student-driven advocacy in the realm of gun politics while the Brady Campaign kicked off a youth engagement program of their own. While the Brady group did not disclose how much money they are throwing at their new endeavor, like Bloomberg-funded Everytown the organization intends to mobilize students to engage politically through the November midterm elections with an eye towards opposing pro-gun candidates and supporting those who back more regulations on firearms. As for the March for Our Lives movement, now pushing past six weeks old, that group has switched gears and is reportedly operating as a “dark money” 501(c)(4) nonprofit, a move which means it does not have to disclose their donors. “This form of entity gives the students maximum flexibility to conduct high-impact legislative advocacy during the Day of Action and beyond,” says the group of the new March for Our Lives Action Fund. Donations made on the lead up to last weekend’s marches were directed by the group to go to a New York-based support fund set up by Everytown. The Bloomberg group, in turn, is backing a “Students Demand Action” initiative and made up to $2.5 million in grants available to fund “sibling marches” outside of the primary event in D.C. Meanwhile, Stoneman Douglas students in Florida have set up 17 For Change, coined to memorialize the 17 students and faculty killed in Parkland on Valentines Day. The group’s platform includes boosting the minimum age to purchase “assault weapons,” expanding background checks and the use of waiting periods and instituting gun violence restraining orders. The 17 For Change website was developed by MDW Communications, a Florida-based political marketing firm that has worked with the Florida Democratic Party and Broward County Sheriff Scott Israel, among others.